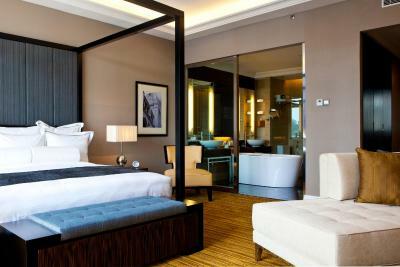 Lock in a great price for The Majestic Hotel Kuala Lumpur, Autograph Collection – rated 9.1 by recent guests! The room size and facilities were great! The breakfast spread was good! Really relaxing stay, nothing too much trouble for the staff. Lovely room with bath tub. Hotel room was huge, with comfy 4-poster bed, two bathroom sinks, shower, and free-standing bathtub (which I didn't use). 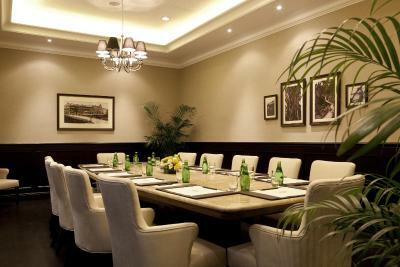 Located near museums and parks (walking distance to Bird Park, National Mosque, Botanical Garden etc.) and train station. Very attentive and efficient staff. Feel like you're on a movie set when the lobby is busy with folks wandering through in elegant evening gowns and suits for parties, weddings, etc. 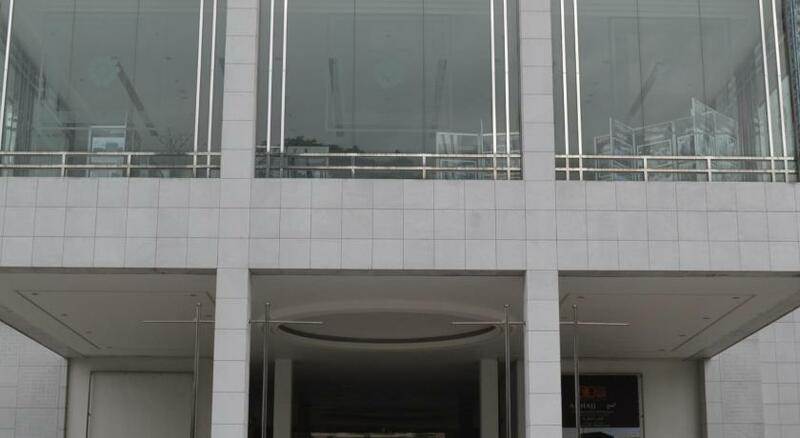 Large buffet-style restaurant off the lobby with amazing selection of food, reasonably priced. The room was spacious and we were given a room on the second highest floor, which was awesome! Wide selection for breakfast and dinner buffet. Worth the price. Hotel staff are very friendly however, not knowledgable. The bed is comfortable. The pillow is super comfortable. Room is spacious. Lots of breakfast choices. 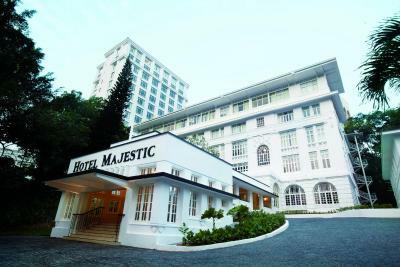 The Majestic Hotel Kuala Lumpur, Autograph Collection This rating is a reflection of how the property compares to the industry standard when it comes to price, facilities and services available. It's based on a self-evaluation by the property. Use this rating to help choose your stay! 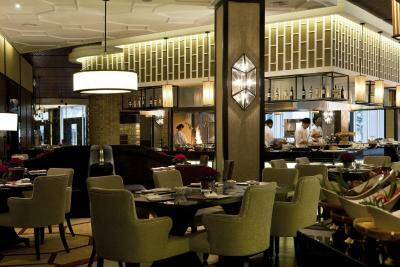 One of our top picks in Kuala Lumpur – and a guest favorite. 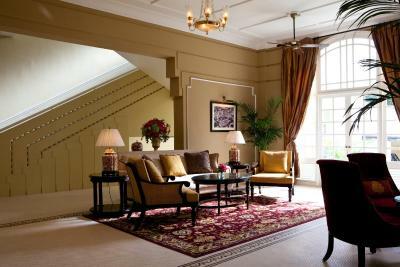 The Majestic Hotel Kuala Lumpur, Autograph Collection offers accommodations featuring modern colonial-style décor and Neo-Classical details. 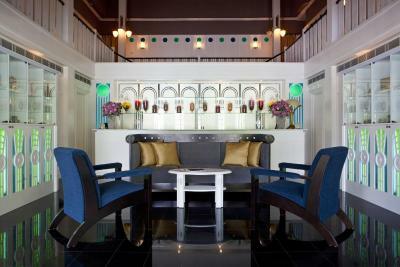 It features an outdoor swimming pool and guests can enjoy meals at the in-house restaurant or have a drink at the bar. Free WiFi is available throughout the property. Union Pay is accepted here. 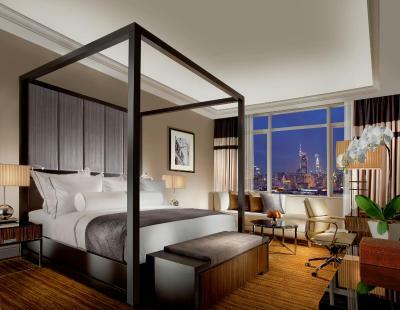 Spacious and grand, all guestrooms come with a flat-screen TV, personal safe and electric kettle. 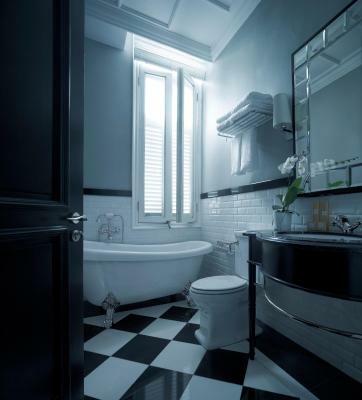 The attached bathrooms are equipped with a separate bathtub and shower, as well as a hairdryer. Slippers, toothbrush, toothpaste and toiletries are provided. In-room dining is possible with room service. The Majestic Hotel Kuala Lumpur, Autograph Collection is a 5-minute walk from Merdeka Square and a 5-minute drive from Kuala Lumpur Central Station. Bukit Bintang shopping area is a 15-minute drive away. 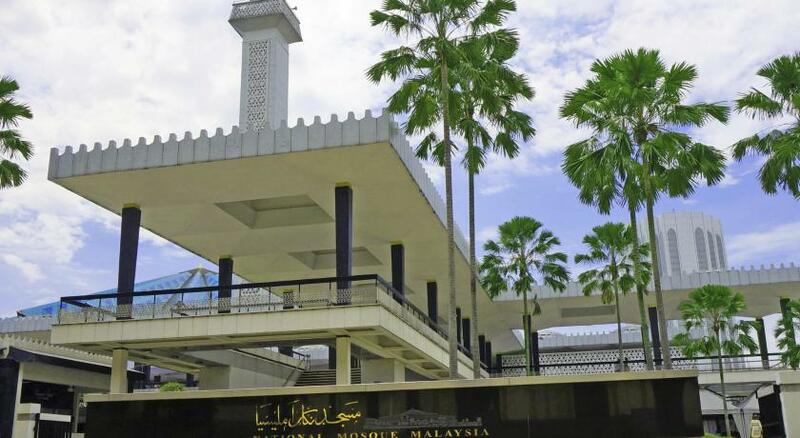 It is a 1-hour drive from Kuala Lumpur International Airport or the Low Cost Carrier Terminal (LCCT). 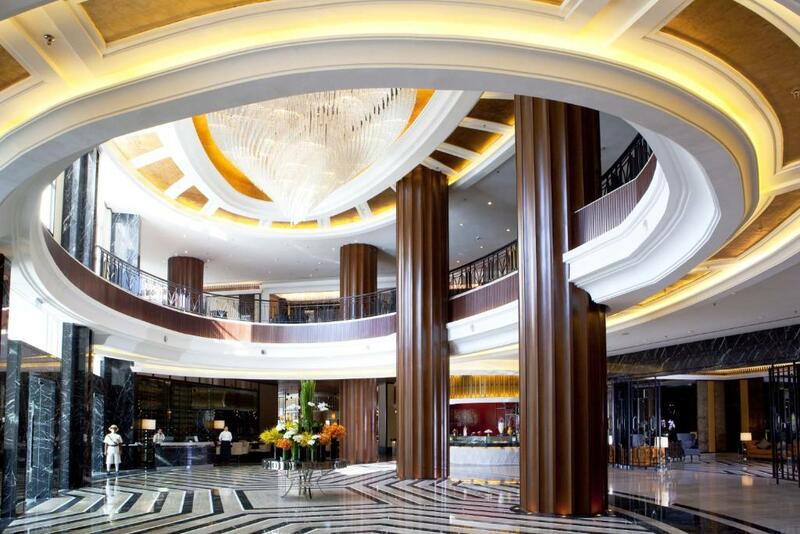 Guests can approach the 24-hour front desk for concierge services and luggage storage. Other facilities at the property include a fitness center. 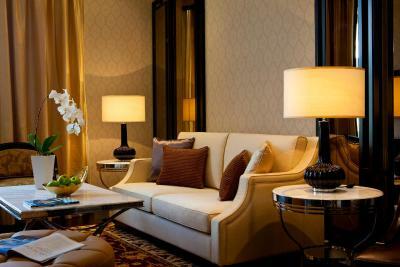 Alternatively, guests can indulge in a pampering massage at the spa. 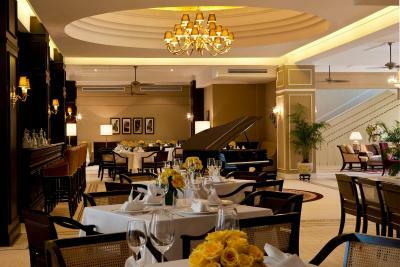 Contango restaurant serves delectable international cuisines, while Colonial Cafe offers classic local and Chinese dishes. Newspapers and luggage storage are provided at the 24-hour front desk. 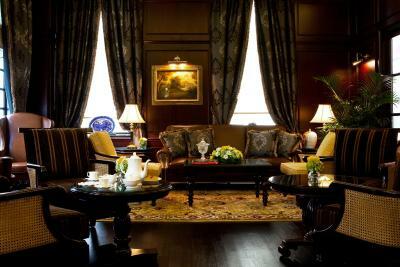 When would you like to stay at The Majestic Hotel Kuala Lumpur, Autograph Collection? Private parking is available on site (reservation is needed) and costs MYR 15 per day. 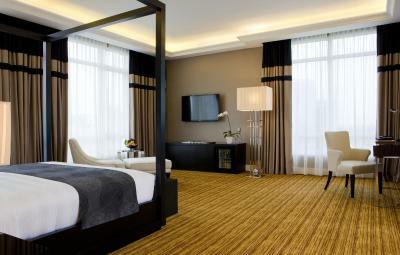 This double room features air conditioning and executive lounge access. Gusts enjoy 24-hour stay, early check-in and late check-out. 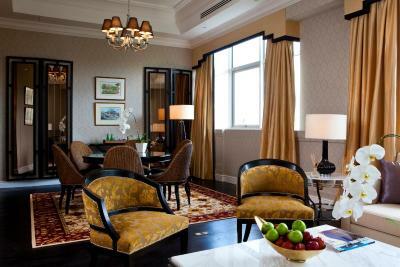 This suite has a executive lounge access and air conditioning. 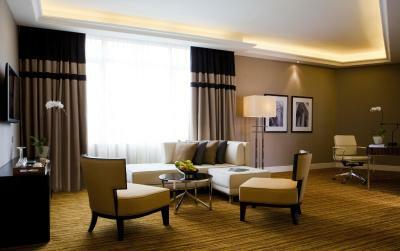 This suite features air conditioning and executive lounge access. 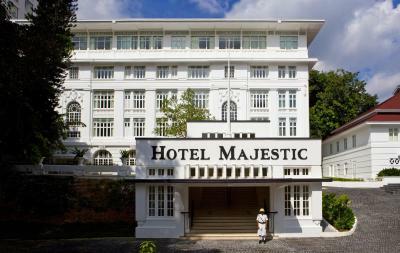 The Majestic Hotel Kuala Lumpur includes the original Hotel Majestic which is documented as a national heritage site. 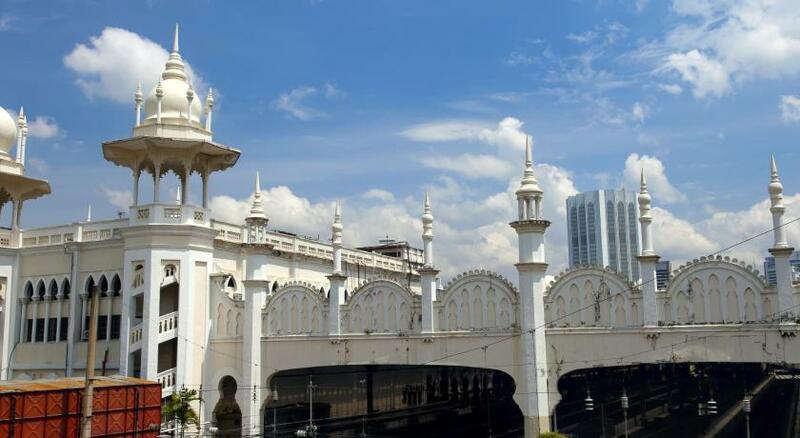 This colonial structure was built in 1932 and became one of the great hotels of Kuala Lumpur in its time. 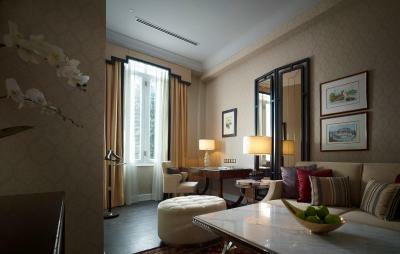 House Rules The Majestic Hotel Kuala Lumpur, Autograph Collection takes special requests – add in the next step! 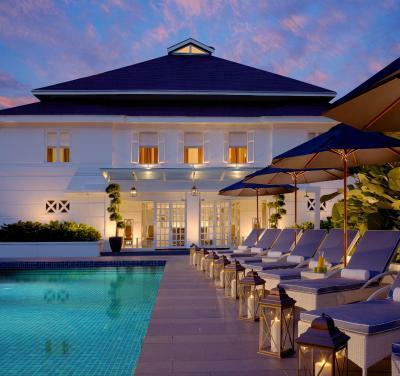 The Majestic Hotel Kuala Lumpur, Autograph Collection accepts these cards and reserves the right to temporarily hold an amount prior to arrival. 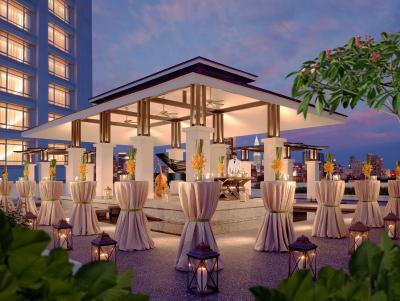 Please note that guests are required to present the credit card used to guarantee booking upon check-in. 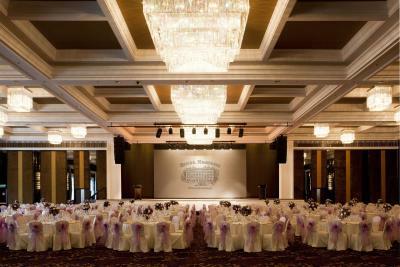 Please inform The Majestic Hotel Kuala Lumpur, Autograph Collection of your expected arrival time in advance. You can use the Special Requests box when booking, or contact the property directly using the contact details in your confirmation. I love the Majestic, the staff is stellar and the barber shop is best in class class! 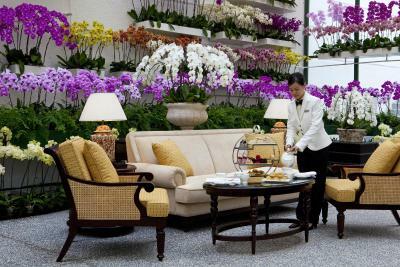 Few rude/unfriendly female staff when we enquired about the high tea at The Conservatory. check-in receptionist was friendly but seem a bit flustered. bell boy did not explain/show us the way around until we prompted him after we had reached our room only then he told us some things but not everything. we had to call the butler to enquire about the complimentary laundry etc on how things work in the Suites. I had the booked the Suites hoping for a more personalised service but this felt no different from booking a normal deluxe room. service had failed to stand out at The Majestic. The manager had addressed this and he was professional and quick in rectifying the problems we had with the staff. turn down service at The Governor Suites was much better. breakfast had a wide variety and was nice although not one of the best we had but is value for money. swimming pool was not as impressive..so did not have the urge on wanting to go for a swim. 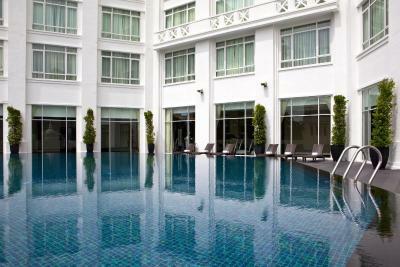 the check-in staff and the bell boy had failed to mention that the majestic wing guests have a swimming pool at the spa area. we were only informed of the Tower wing swimming pool. If it was not because of reading previous reviews and also seeing the photos, I would never have found out about this. Therefore, service was a let down in general. I booked hotels for the service, quality of stay and food. Service have yet to meet my expectations although the manager was apologetic and quick to rectify. Quality of stay was great. Overall, we may give The Majestic another chance in the future for The Governor Suite again. I hope the service in the future will be better. More staff like Gavin and Ejay would definitely make the stay a much more memorable stay! 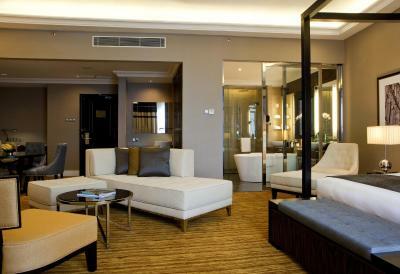 Having stayed at Ritz, mandarin oriental, hilton, Four Seasons KL etc, there was not much personalised service felt even though we booked the more expensive Suites ie colonial and governor Suites. A small number of staff we found were not pleasant but this problem was rectified by the manager. However, 2 staff that stood out for us were Ejay at the Orchid Conservatory and Gavin who we had met on few occasions during our stay here. Gavin always has a smile on his face and is extremely polite which was a pleasure and made this experience better. He even remembered the drinks we had ordered the day before in the club room. Bed and pillows were extremely comfy. sleep was great. the complimentary mini bar and snacks were a nice touch. Governor suite was massive compared to Colonial suite and we will definitely choose the Governor suite over the colonial suite in the future. club excess was amazing with happy hour drinks and cakes during certain times. complimentary laundry was a nice touch. shuttle bus to starhill, midvalley and KL central was good. Sadly there was a burst pipe which resulted in ceiling collapsing. We were moved to another room but this was significantly smaller than the previous room (bathroom claustrophobic) we had although I was told this was another governors suite. These things happen but was a tad miffed to be moved to a lesser room. Additionally sadly missed our reservations elsewhere but not the hotel's fault as these things happen. Mini bar had no alcohol which for the price of the room seemed a tad mean. 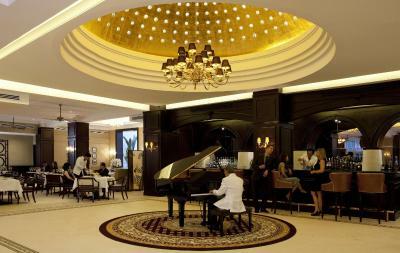 The style of the hotel was classic, the restaurant and entertainment during dinner was fantastic. They are doing some renovation to the main pool. only the spa pool is open for now. The room is amazing. Pillows were fluffy and bed was heaven. There's shuttle van to and fro KL Sentral. Toe nail cuttings, from the previous guest, on the carpet. I did not like finding out when I stood on them. 200 RM for 2 whiskeys is a bit off and the demand for cash when they were delivered to the room is not on. Nice large room and bathroom. Staff very polite, helpful and friendly. Great food in the dining room. Room service was excellent. Old wing felt a little isolated compared to new wing. Eveything!Esp the staffs they are amazing attentive prompt courteous.The free shuttle to KL Sentral was really convenient! They were short of staff, I waited at the counter to check in for about 30mins or so. The room was perfect and my son really enjoyed the bath tub as there is a TV for him to watch while playing in the tub. Immaculate. Beautiful hotel. Very attentive staff. Excellent service. Wonderful facilities. The complimentary shuttles to Mid Valley, KL Sentral and Bukit Bintang are very well provided. 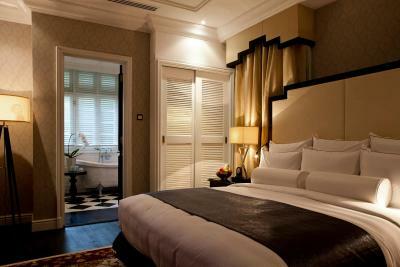 The Colonial Suite in the Majestic Wing that I stayed in was above expectations and beyond words. Western-style breakfast produce wasn't extensive, presumably reflecting the requirements of the main clientele. The price of the buffet lunch jumped by 50% on Easter Sunday, due to provision of children's entertainment and sweets I wasn't interested in. 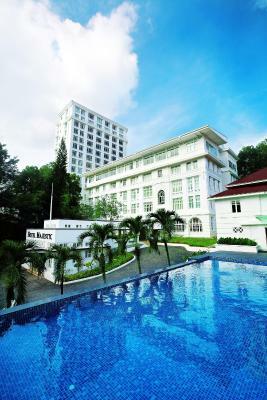 The hotel was within walking distance of the Botanics and a couple of museums plus KL Sentral. The Breakfast and Lunch buffets were extensive and varied. The staff were all very helpful and pleasant. Very good and like it so much . The location was not convenient, needed to take the hotel's shuttle bus, which was not frequent enough. The wi-fi was very slow. The room was very noisy from the air conditioning, and the road outside, despite being on the highest floor. The room was too cold because the air conditioning could not be adjusted, and so needed to be be switched off, to make the room livable. The inclusive buffet breakfast was poor in choice and quality. The staff was very helpful and friendly.